What can we learn about nationalism by looking at a country’s cultural institutions? How do the history and culture of particular cities help explain how museums represent diversity? 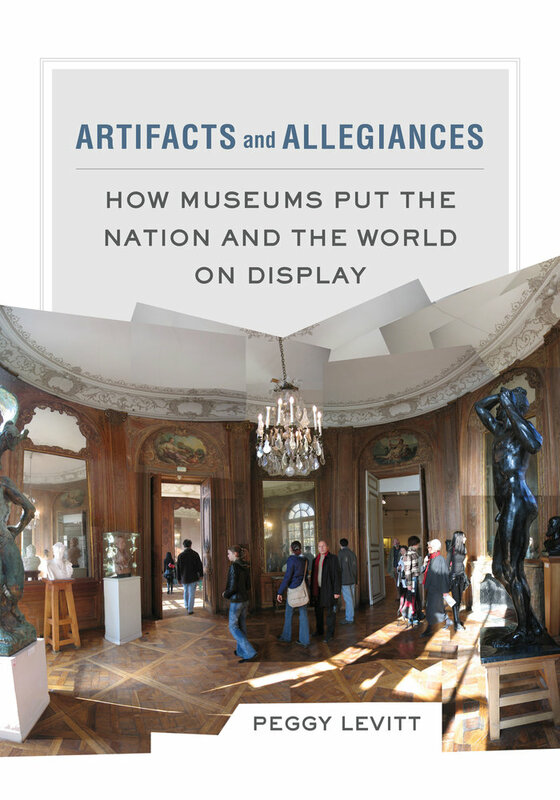 Artifacts and Allegiances takes us around the world to tell the compelling story of how museums today are making sense of immigration and globalization. Based on firsthand conversations with museum directors, curators, and policymakers; descriptions of current and future exhibitions; and inside stories about the famous paintings and iconic objects that define collections across the globe, this work provides a close-up view of how different kinds of institutions balance nationalism and cosmopolitanism. By comparing museums in Europe, the United States, Asia, and the Middle East, Peggy Levitt offers a fresh perspective on the role of the museum in shaping citizens. Taken together, these accounts tell the fascinating story of a sea change underway in the museum world at large. Peggy Levitt is Professor of Sociology at Wellesley College and a Senior Research Fellow at the Weatherhead Center for International Affairs and the Hauser Center for Nonprofit Organizations at Harvard University, where she codirects the Transnational Studies Initiative. In 2015, she is a Robert Schuman Fellow at the European University Institute. Her books include Books, Bodies, and Bronzes: Comparative Sites of Global Citizenship Creation, Religion on the Edge, God Needs No Passport, The Changing Face of Home: The Transnational Lives of the Second Generation, and The Transnational Villagers.